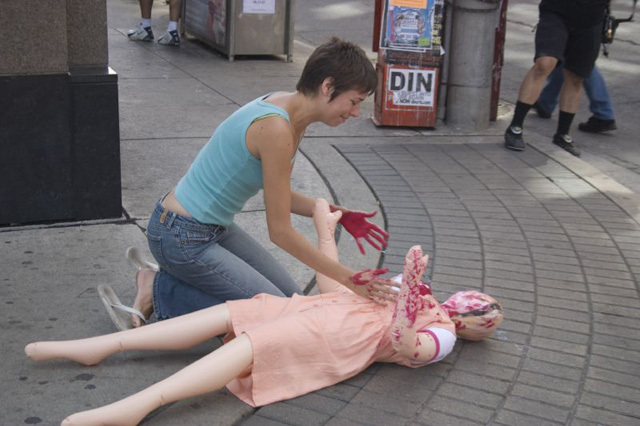 Early Saturday afternoon, the Toronto Public Space Committee‘s Cameras in Public Spaces campaign performed this bit of street theatre in the Entertainment District. It was intended to highlight the ineffectiveness of CCTV [PDF], especially when compared with live, on-the-ground police officers, who are able to respond to emergencies and not just bear witness. Not that the cameras have even proven effective at doing that; two shootings have taken place at intersections where cameras had been installed (December 30 at Yonge and Gould and July 22 at Adelaide and Duncan), and in neither case did footage lead to an arrest. In the former instance, for example, the person was recorded being shot, but the perpetrator was not recorded doing the shooting. If the $100 000 to $150 000 spent on the camera had been used to hire a police officer instead, he or she would presumably have been able to react to the incident more effectively. 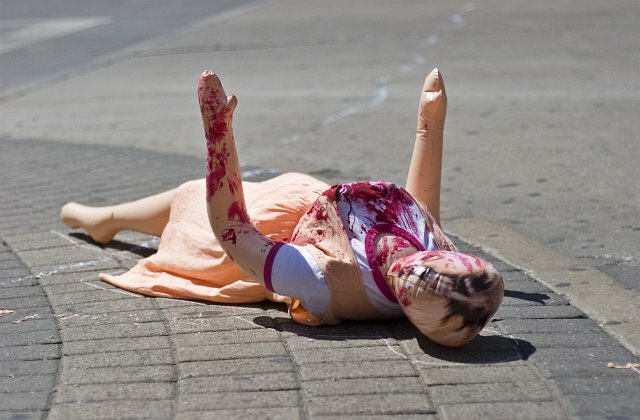 Perhaps the shooter would have been caught, and perhaps the victim (who had been struck in the leg) would not have had to drag himself to St. Michael’s Hospital. Jonathan Goldsbie is a campaigner with the TPSC, but pretty much sticks to the advertising-related stuff. 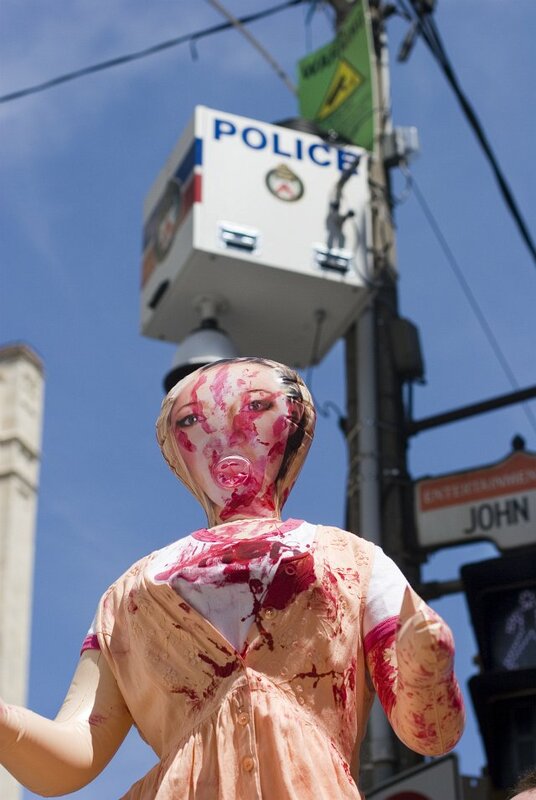 All photos (except the last one) by Torontoist’s Miles Storey. Final photo by the TPSC’s Stephen Young, from his Flickr set.